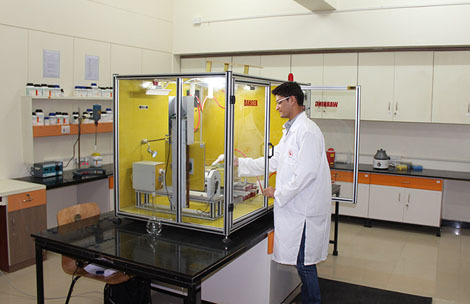 SSBS has all the state-of-art equipment for research in Biotechnology as well as Nutrition and Dietetics. Some of the major high-end facilities include GC, HPLC, qPCR and PCR machines, FACS, refrigerated centrifuges, spectrophotometers, deep freezers, lyophilizer, gel electrophoresis systems for nucleic acids and proteins, animal tissue culture facility and animal house along with a well-equipped nutrition and dietetics laboratory. Separate research laboratories for M.Sc. and Ph.D. students ensure uninterrupted operation of research activities of both the courses. All the classrooms are equipped with computers and projectors for interactive teaching and learning. 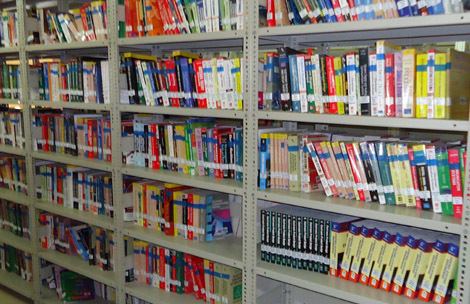 Library of the institute has all the text books required for the courses along with numerous reference books, research journals and subscription to online databases such as Web of Science and Scopus. SSBS has a computer laboratory dedicated for the students with high-speed internet through LAN as well as Wifi connectivity for the laptops and access to various advanced software. Students are also provided the locker facility for safe storage of their belongings. Other facilities include elevators, canteen, hostel, mess and separate parking space for the students. With an interest in promoting leisure time physical activity University Sports Board of Symbiosis International University has developed and developing various sports facilities to give impetus to students, these facilities are also available to all SSBS students.